High altitude crossing from the north to the south. Total length, 43.8 km. Start at 900m at Tzamia location and finish at 150m in Agia. Maximum gained height, 1400m. 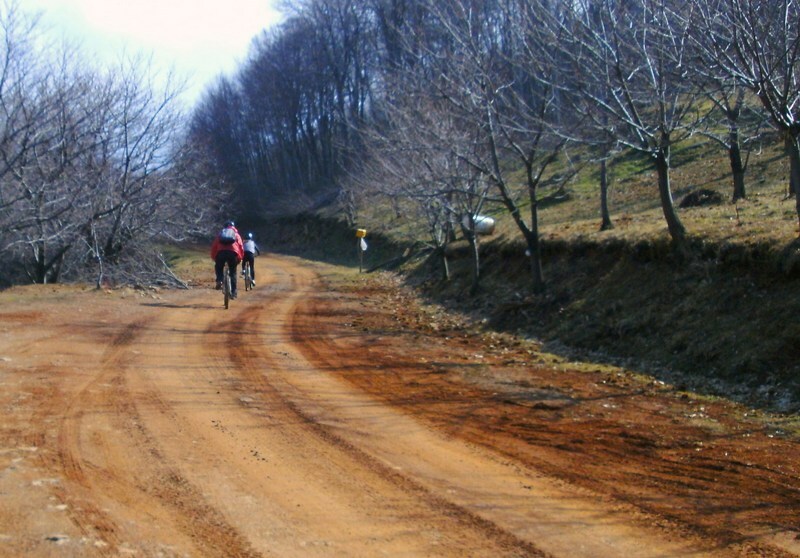 Asphalt 13.9%, in the last section of the route. Meet at Arioprino location. The first 4.8 km take us very mildly up to 1000m, where the gradient of ascend increases quite sharply for the next 6.2 km to 1380m. We are now in the heart of the central Mt. 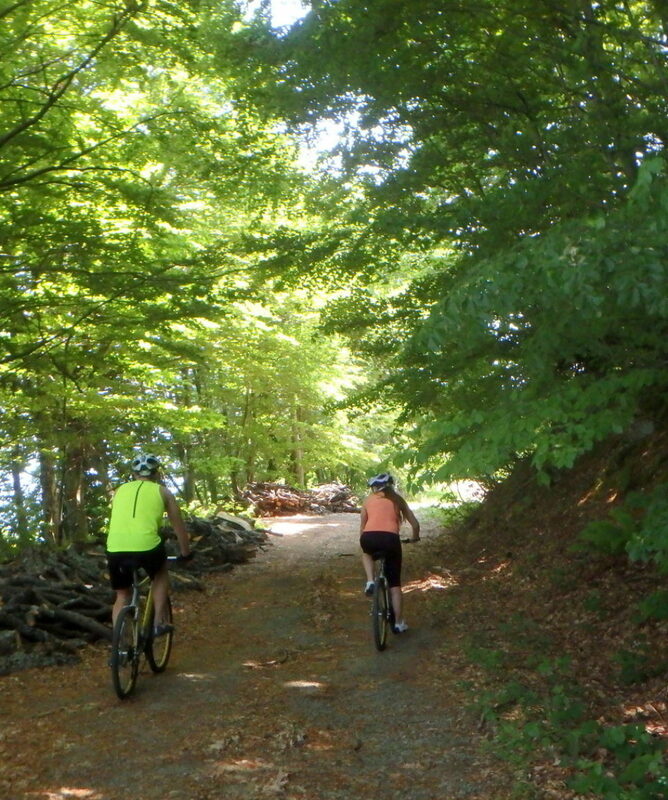 Kissavos where the beech and fir trees dominate the forest and still very close to the alpine zone. 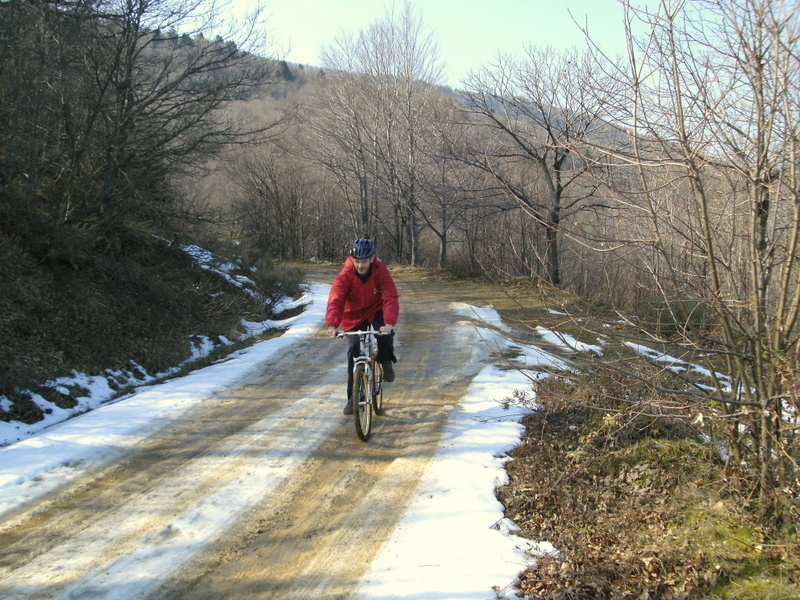 From this point and for 4.1 km we go smoothly down to 1200m, at the eastern end (entrance for us) of the Belmas valley. 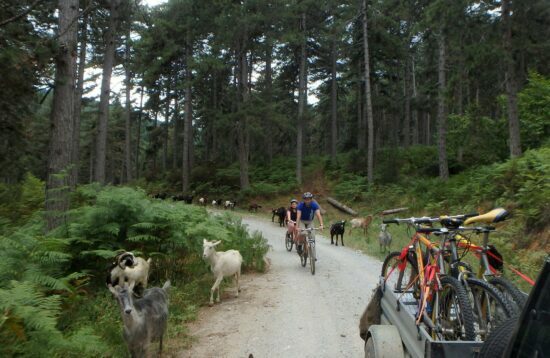 As we enter the Valley, the deep forest gradually gives way to beautiful alpine meadows and for 3.4 km, we gain another 50m. The main conical summit of the mountain rises impressively above our heads to our right. 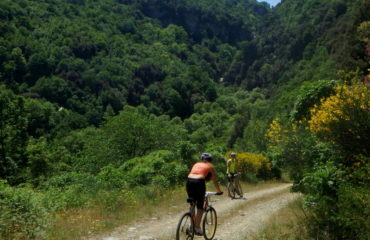 While in the valley, the road turns towards the south climbing for 2.9 km to 1400m, the highest point of the route, enjoying great views ofthe eastern coast and Mt Pelion in the far distance towards the south. From now on it is downhill! !…about time! 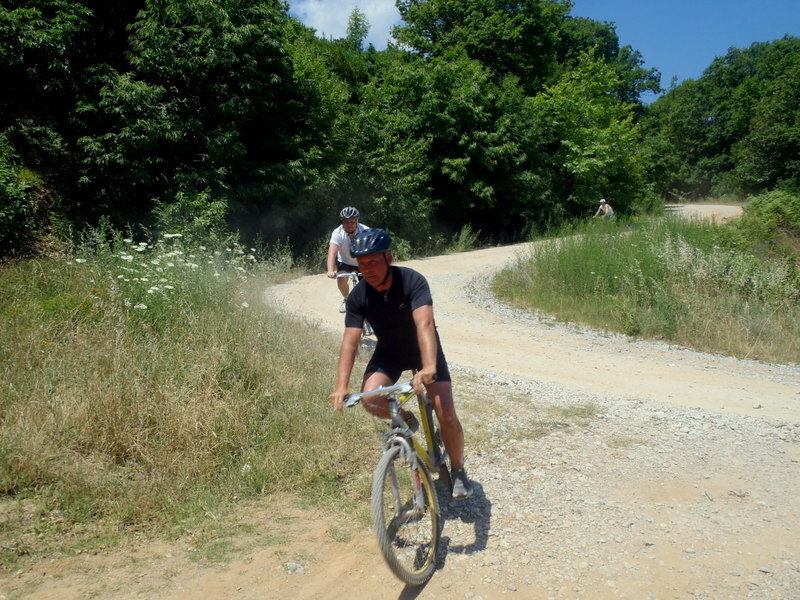 5.6 km of downhill ride take us to 950m and to “Anatoli” village and another 10.7 km to ‘Megalovriso” village at 600m. 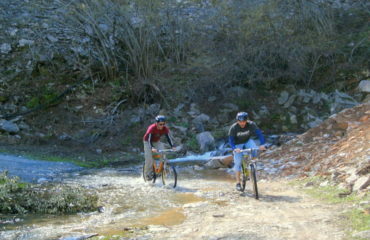 A very pleasant ride in the open space of the southern slopes of Mt Kissavos! 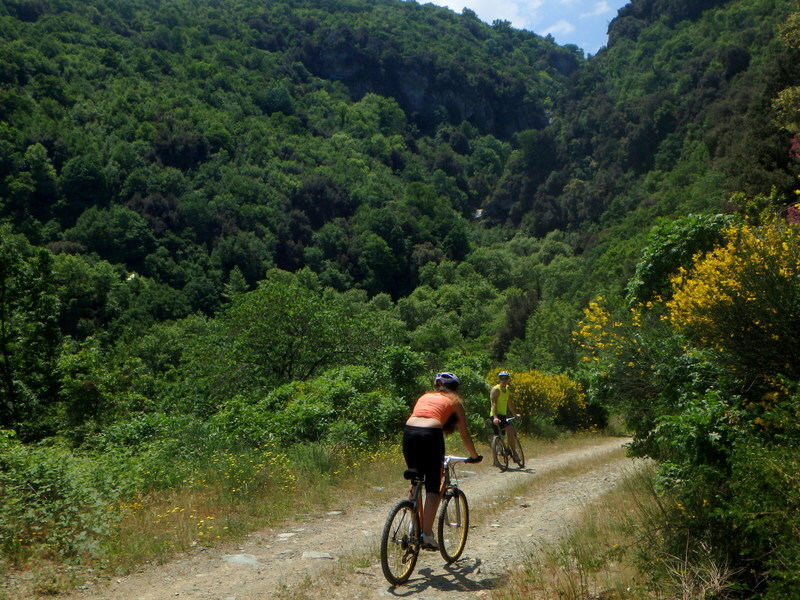 From Megalovriso, on asphalt road, we descend the last 6.1 km to the citadel of Agia, the capital of the area at 150m. Duration of cycling 4.30’ to 5.00’ hours. 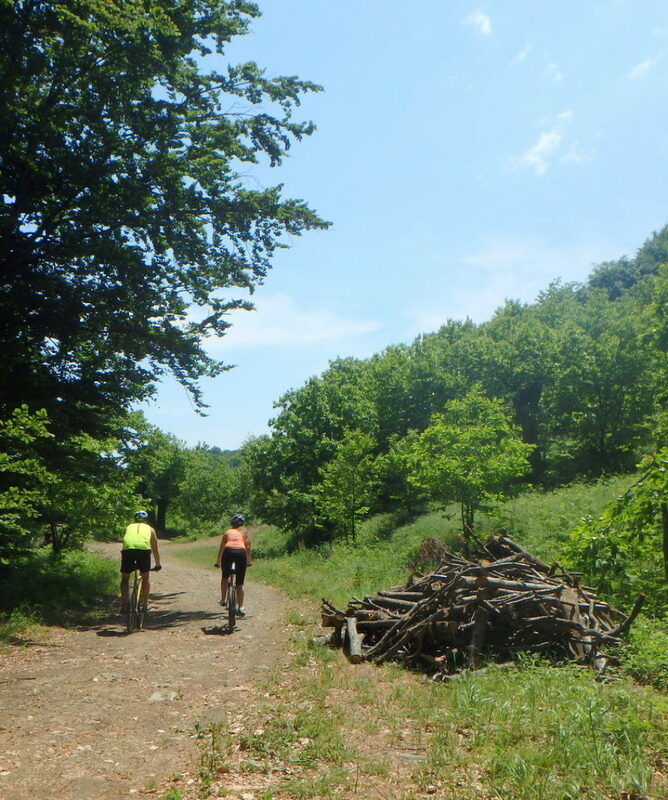 Note that as a one day activity, this route is designed for the keen mountain cyclists, who seek something really demanding in mountain biking. 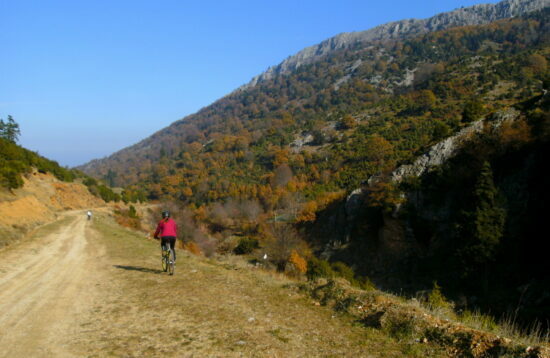 As a more relaxed / easier alternative / option, the route can be done in two days in a more relaxed manner, camping in the “Belmas” valley at 1400m. 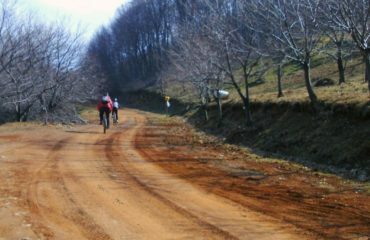 In the morning of the second day, one has the opportunity to climb the main summit of the mountain, in a combination of cycling and walking. This can be quite an experience! 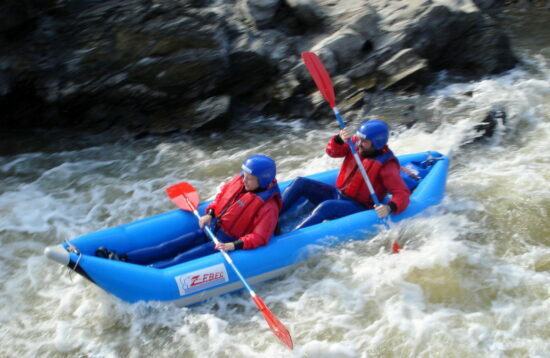 Price for the 2-Day Option: 105.00€ p.p. Includes the camping equipment and evening meal at the camp. All about the Mt. Biking. “Tzamia – Belmas – Anatoli – Megalovryso – Agia”, Mt. Kissavos (Ossa)..